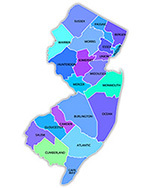 We are working with a number of counties in the State of New Jersey to bring electronic recordation through this portal. The list below includes currently participating counties. Please note, each County requires that Submitters Register with them individually. Sign up Today to realize the benefits of E-Filing !